Electronic and magnetic properties of two-dimensional (2D) germanene (Ge) with five different adatoms have been analyzed and discussed by the DFT method. Different nonmagnetic metals adsorbed at different sites, on one hand, a magnetic moment is induced by Mg adatom in the germanene. On the other hand, the adsorptions of Al, Ga, Li, and Na show no magnetism. 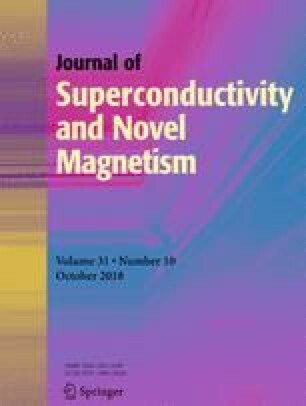 We further study the effect of strain on the magnetism in Mg-adsorbed germanene; we apply an isotropic tensile and compressive strain on the system. On the basis of our calculations, a tunable magnetism shows as the strain increases. The analysis of the PDOS shows that the s–p hybridization between Mg and Ge atoms results in such magnetic behavior. These magneticadsorbed germanene materials might show potential applications in the nanoscale devices. The work is supported by the Discipline Project of Shanghai Polytechnic University (Grant No. XXKZD1605) and the National Natural Science Foundation of China (Grant No. 51776116). We also thank the National Supercomputer Center in Shenzhen.